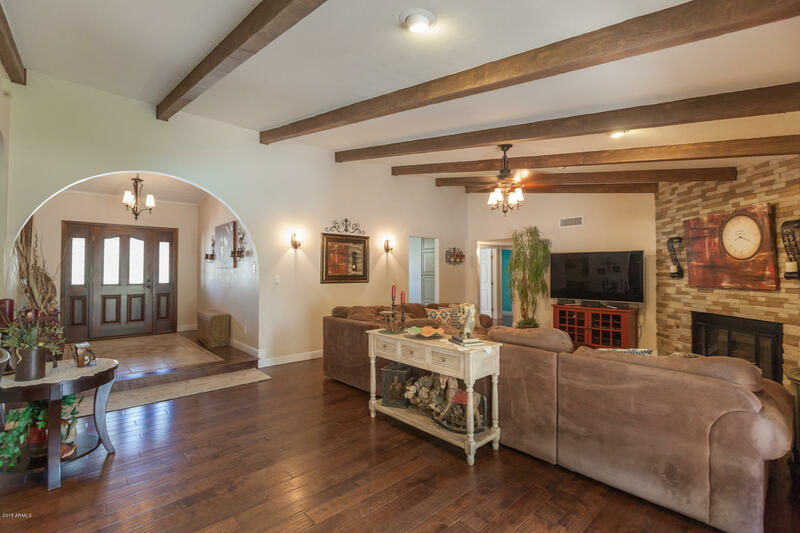 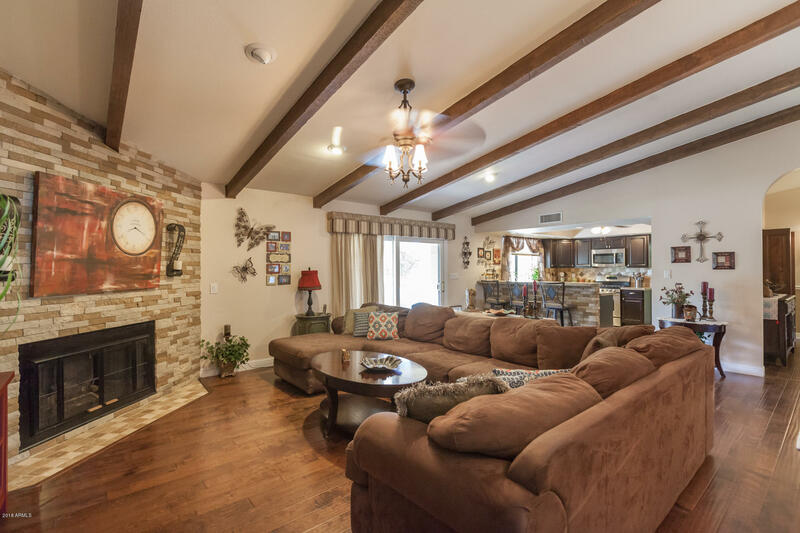 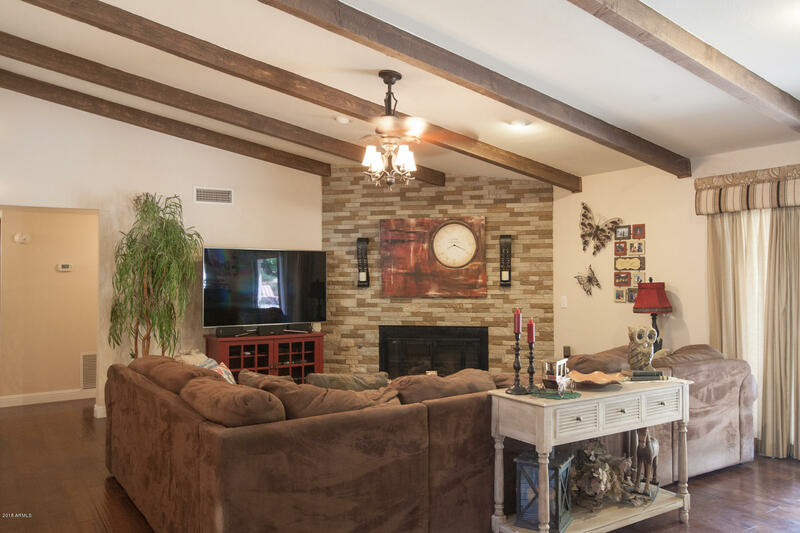 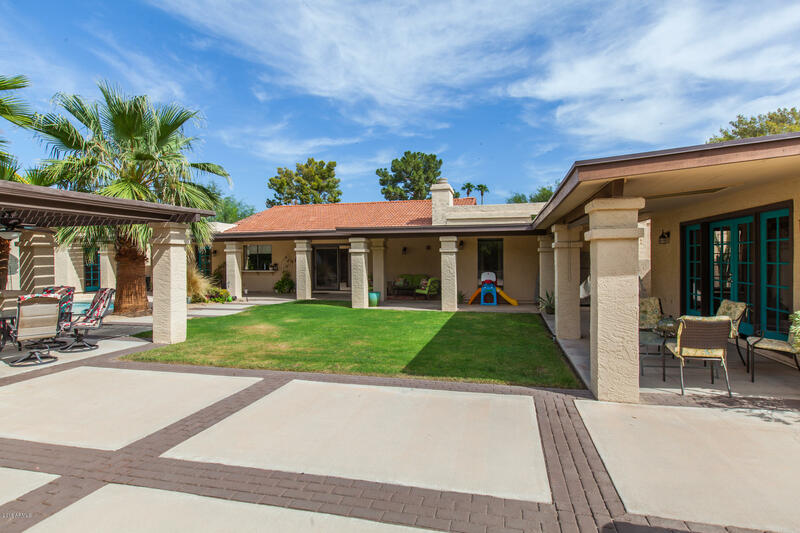 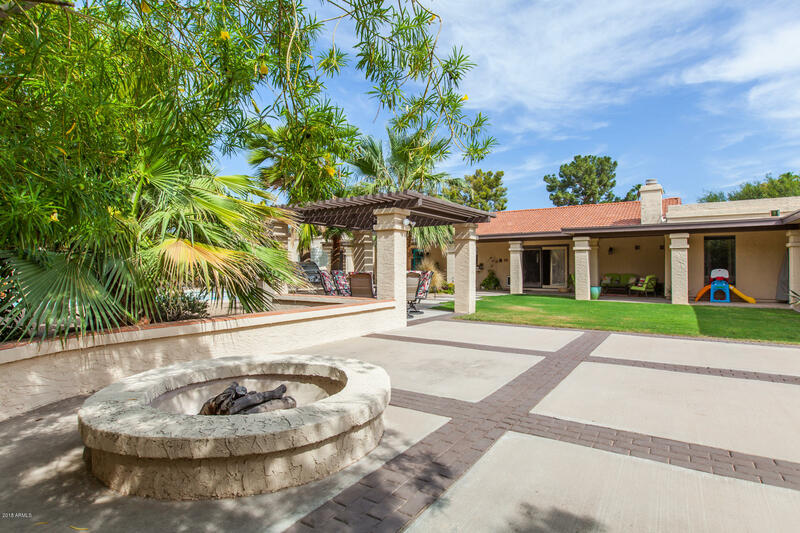 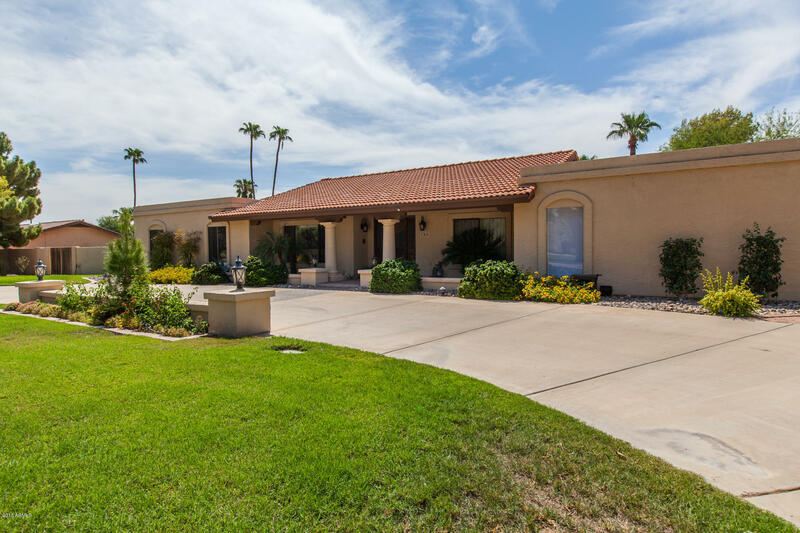 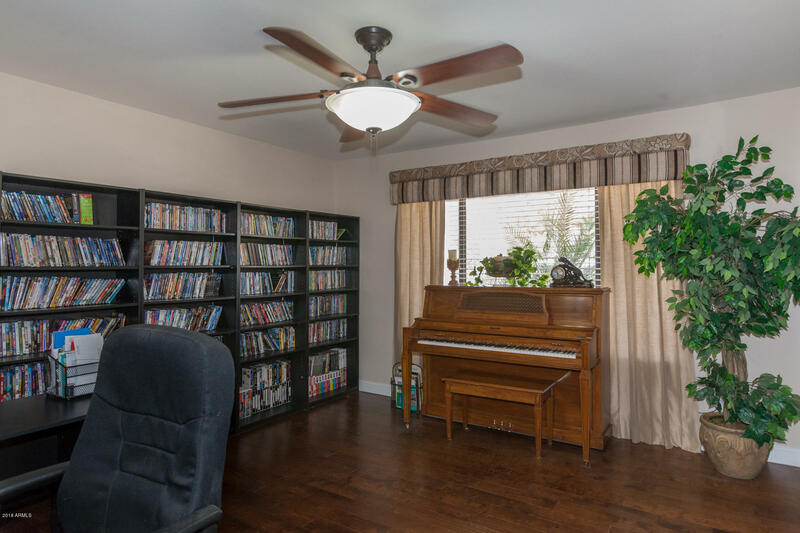 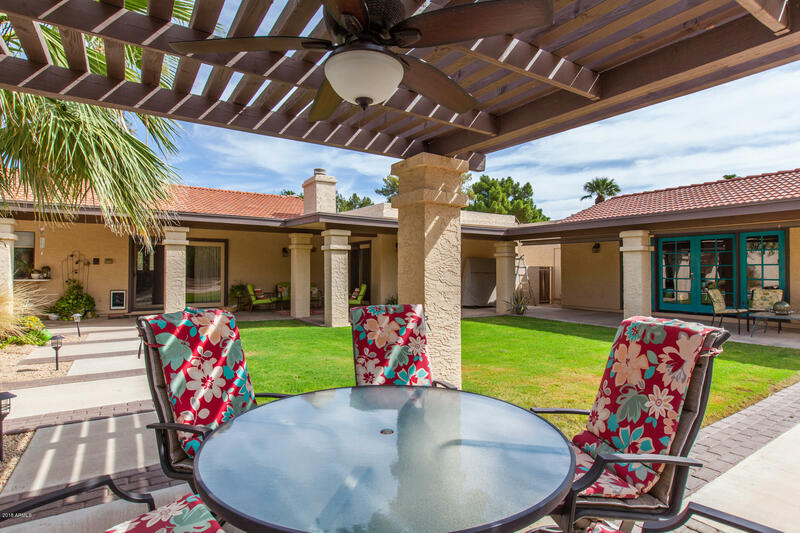 Exclusive Old Litchfield Park is location of this beautiful home with plenty of amenities.Home has 3 large bedrooms, 2.5 baths with office. 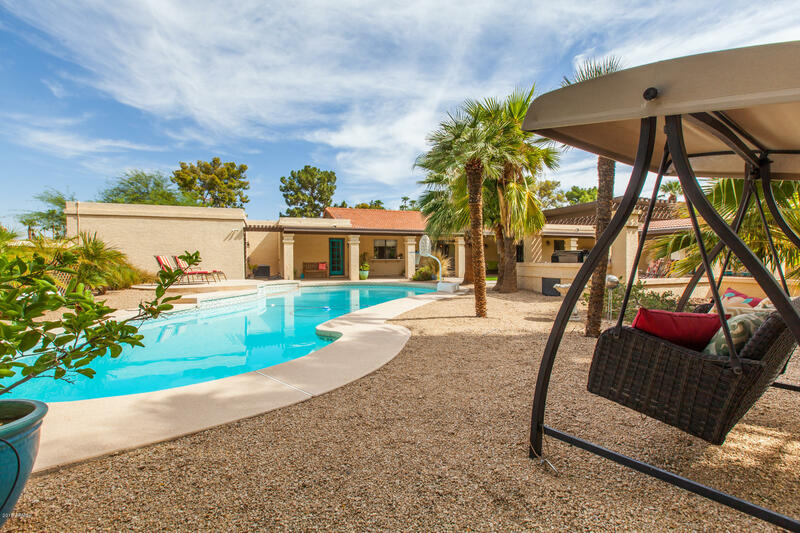 There is a cabana for 4th bedroom, full bath, large living space, wet bar and sauna. 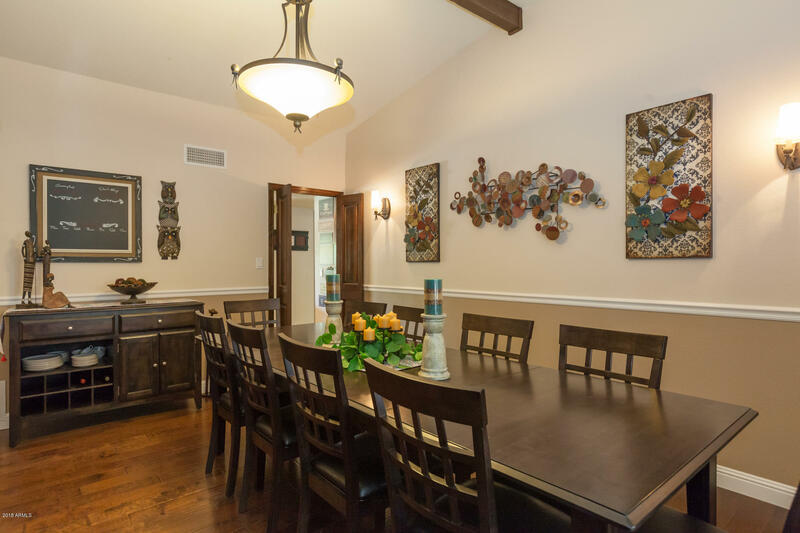 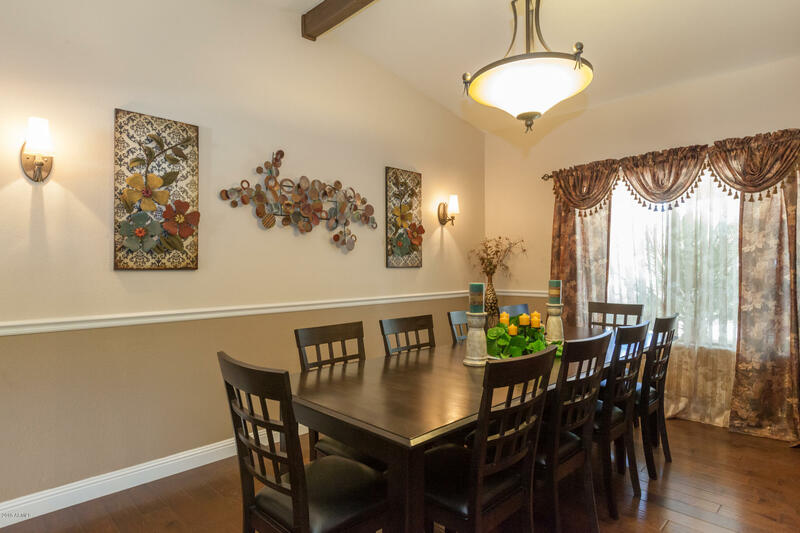 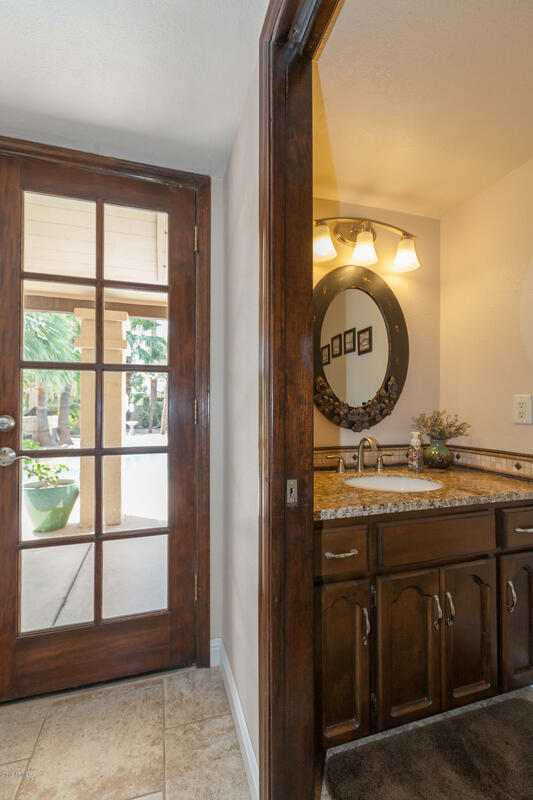 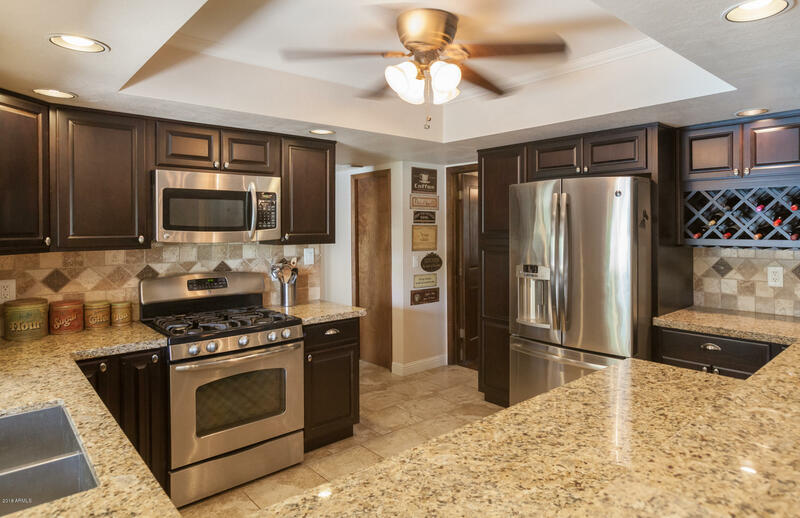 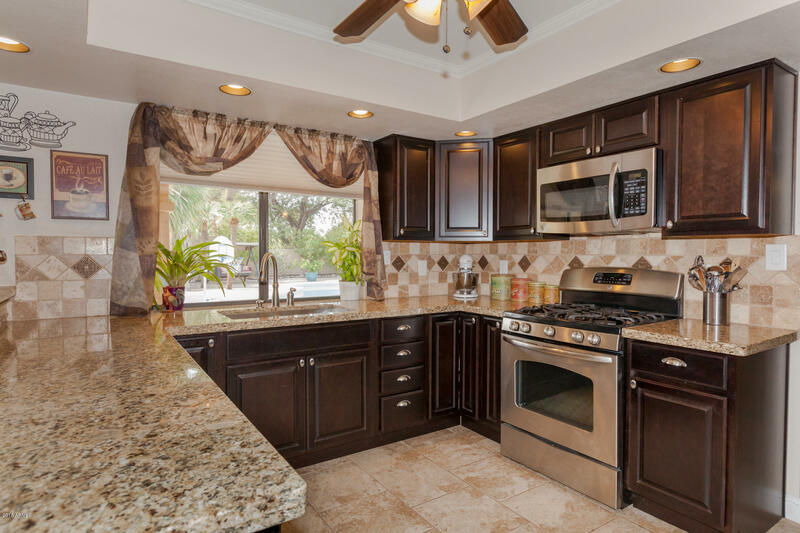 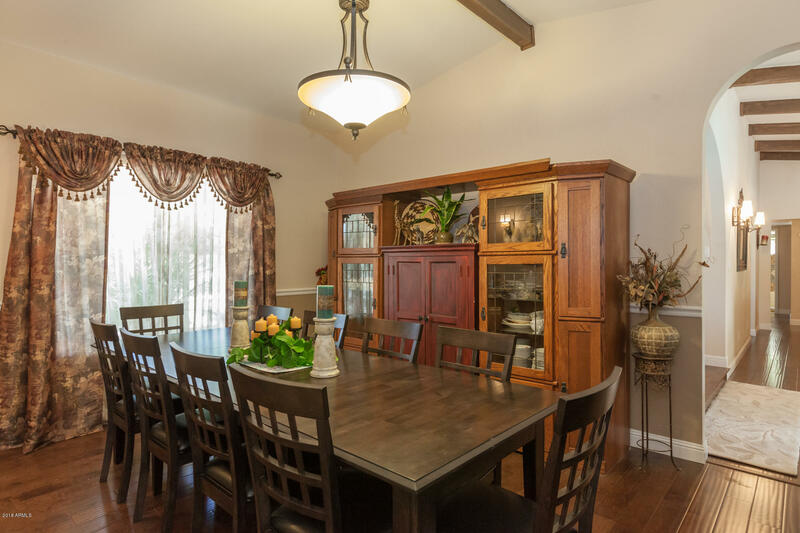 Formal dining room off remodeled kitchen with gas stove custom cabinets, granite counter-tops. 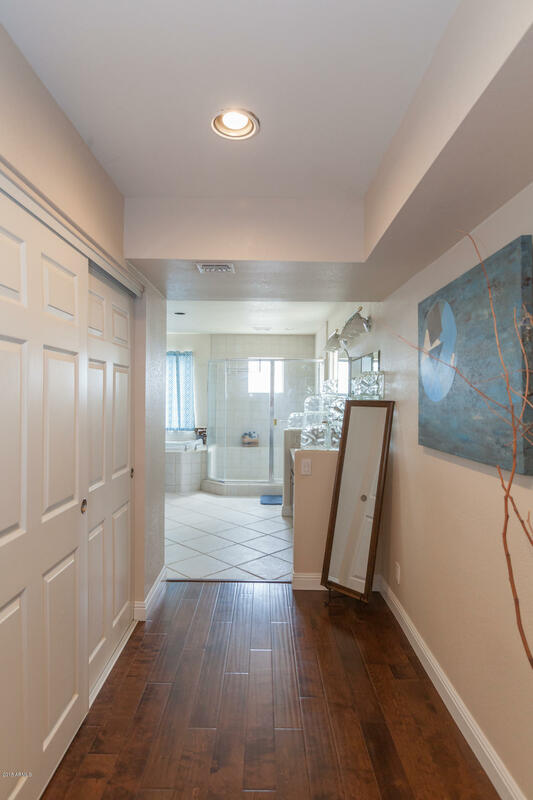 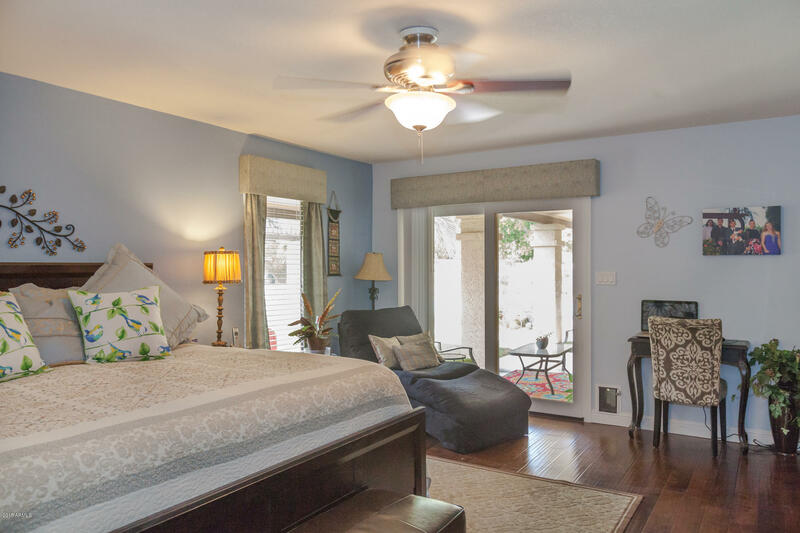 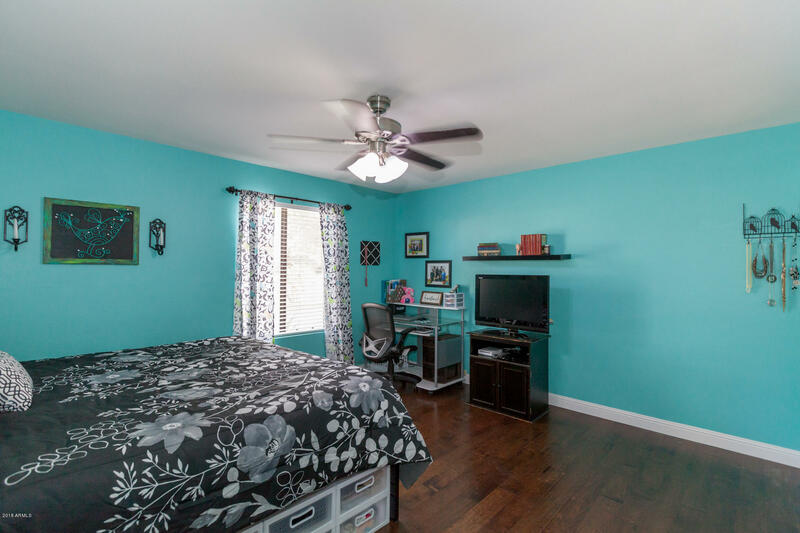 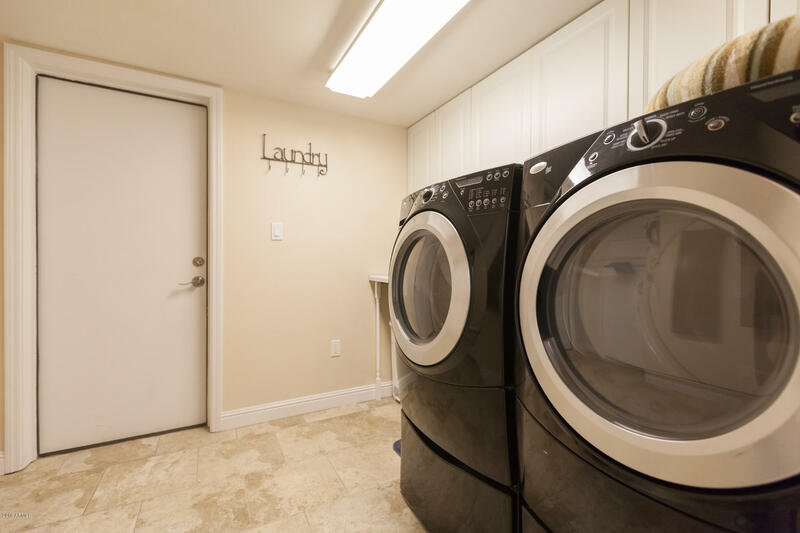 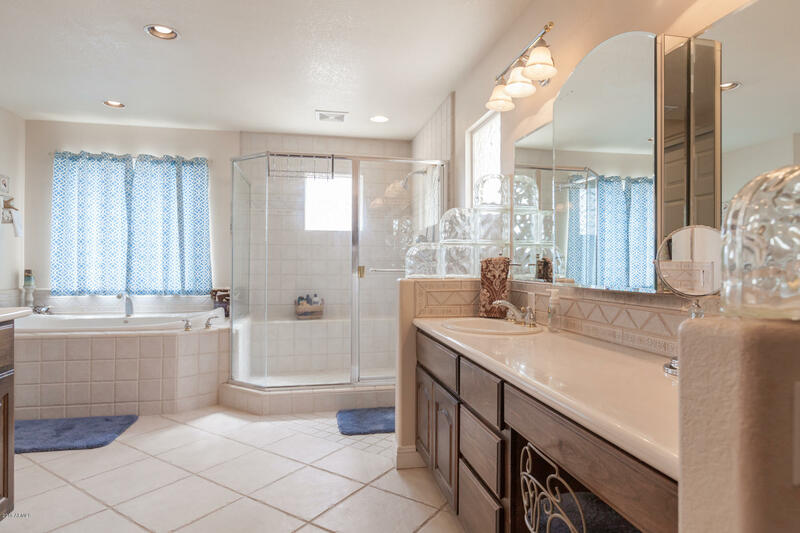 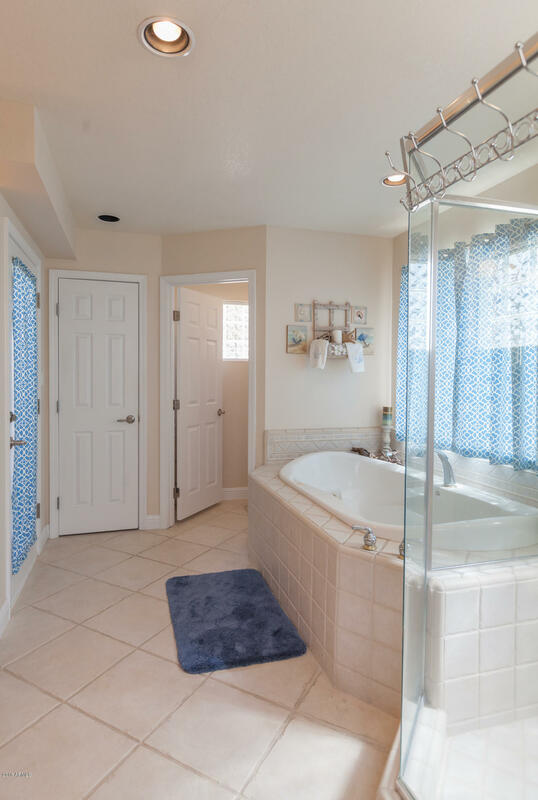 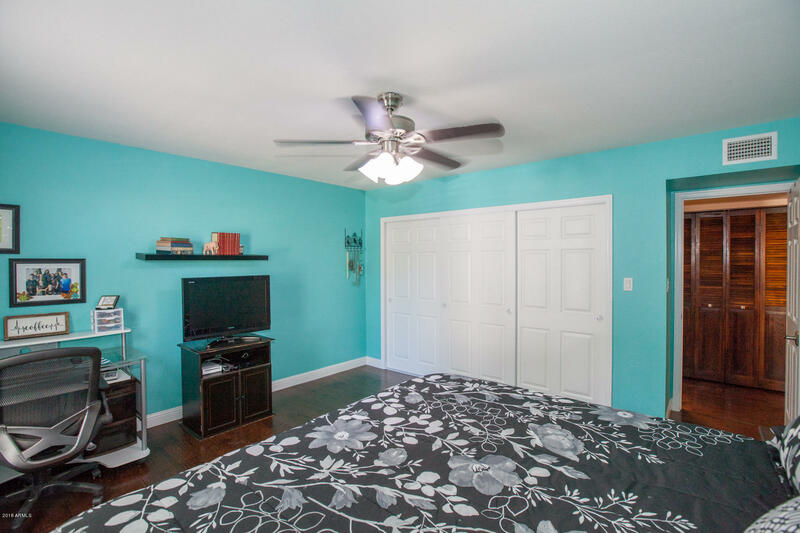 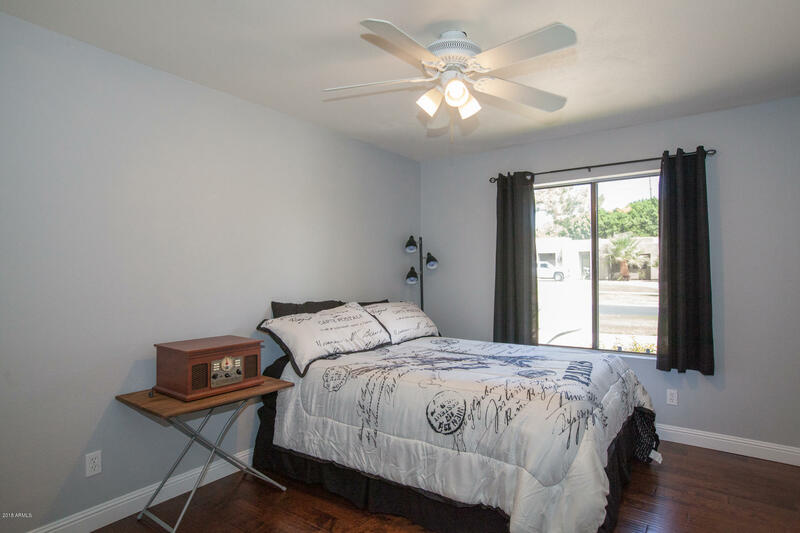 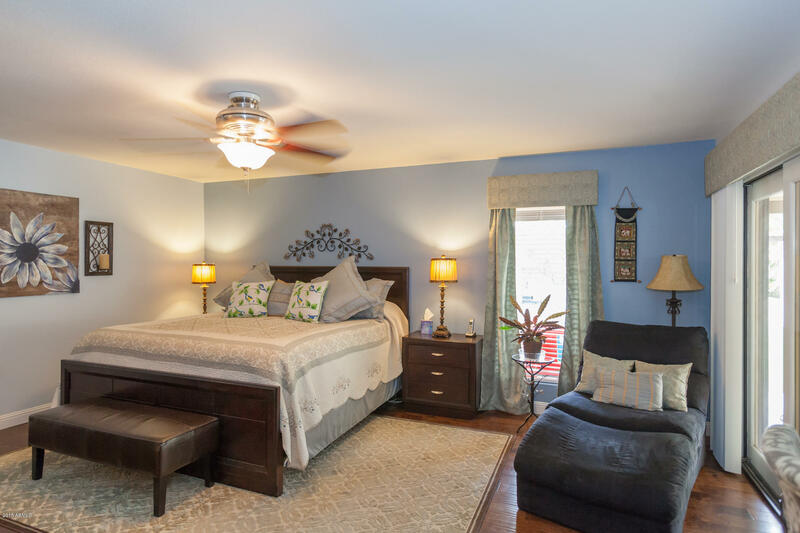 Large master suite has full bat with jetted tub and shower, large walk-in closet and more storage. 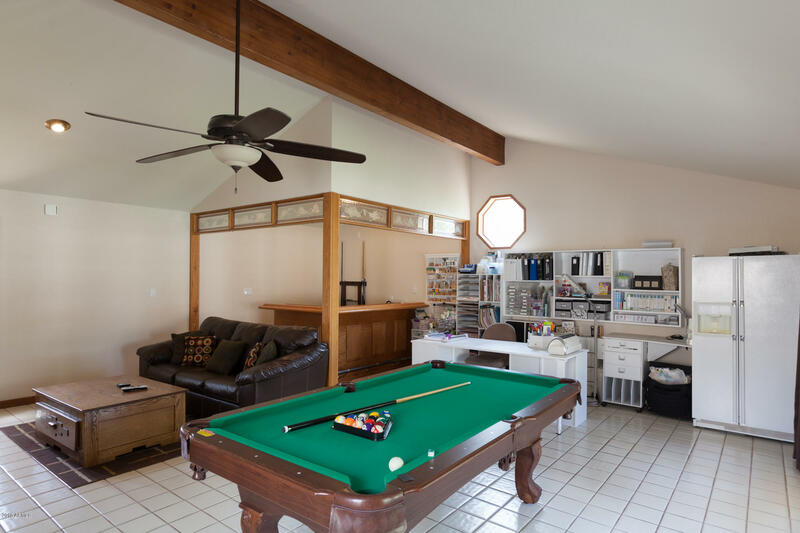 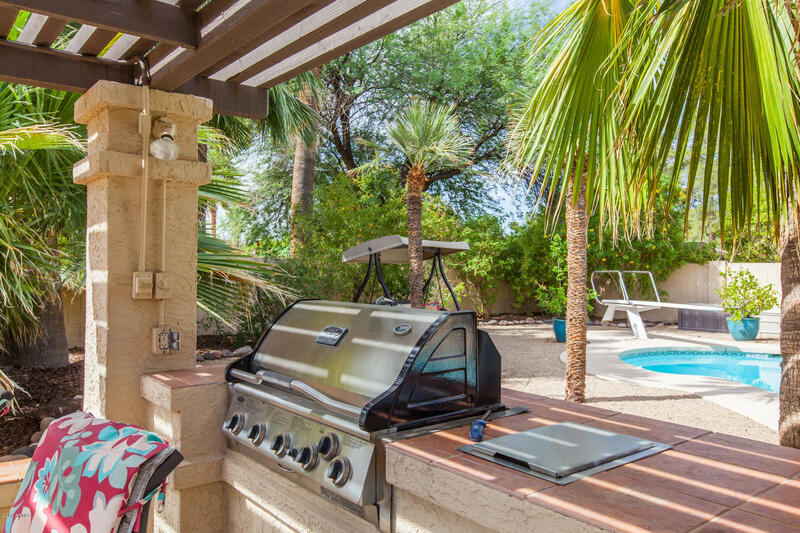 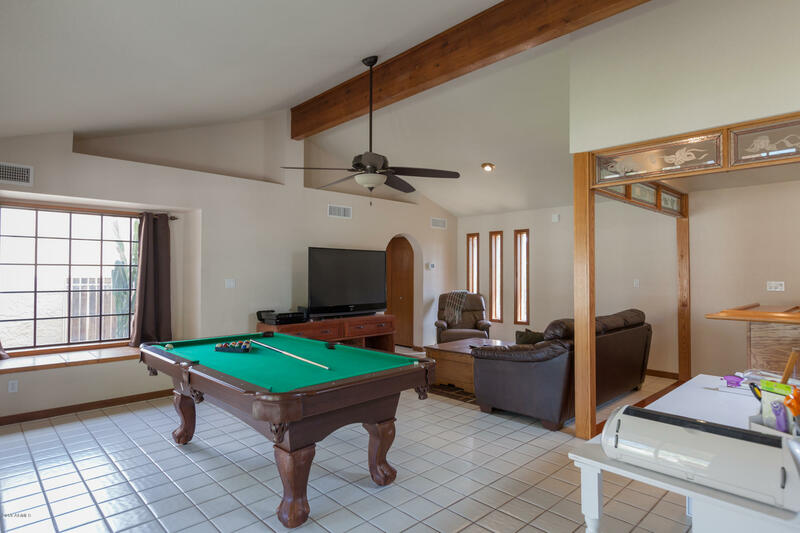 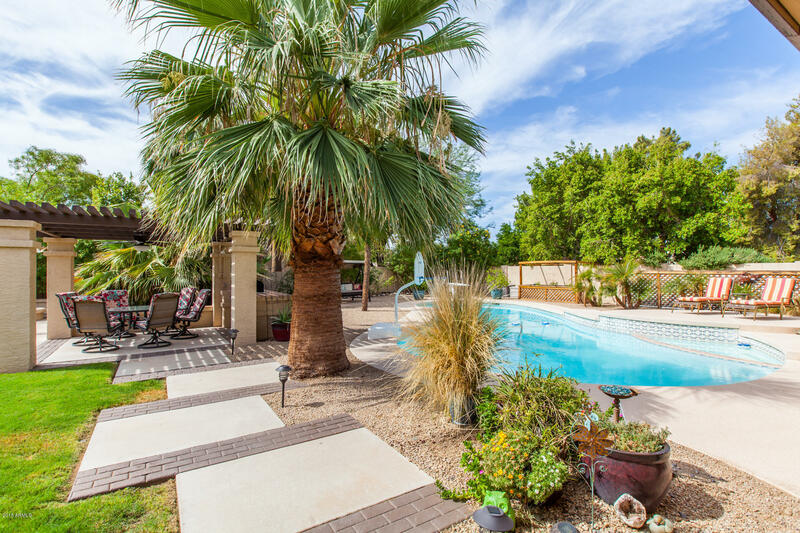 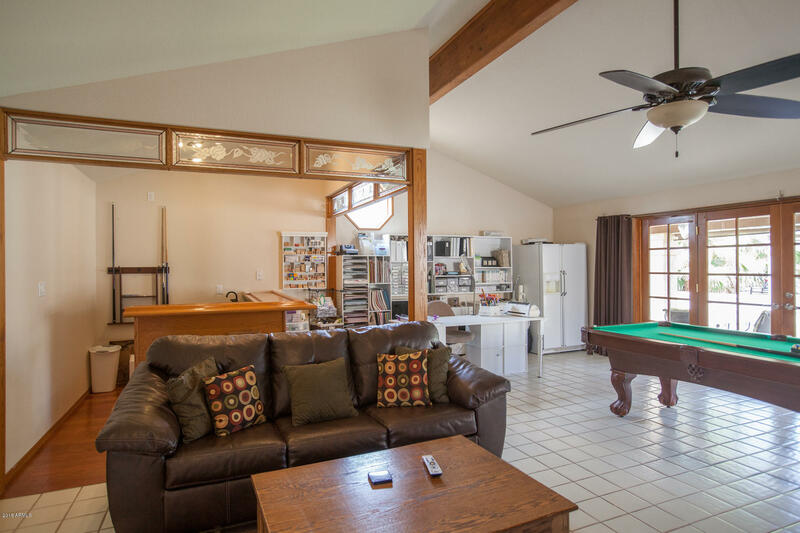 The oversized backyard has diving pool, spa, hot tub, covered patio, pergola, firepit, RV gate, raised garden beds. 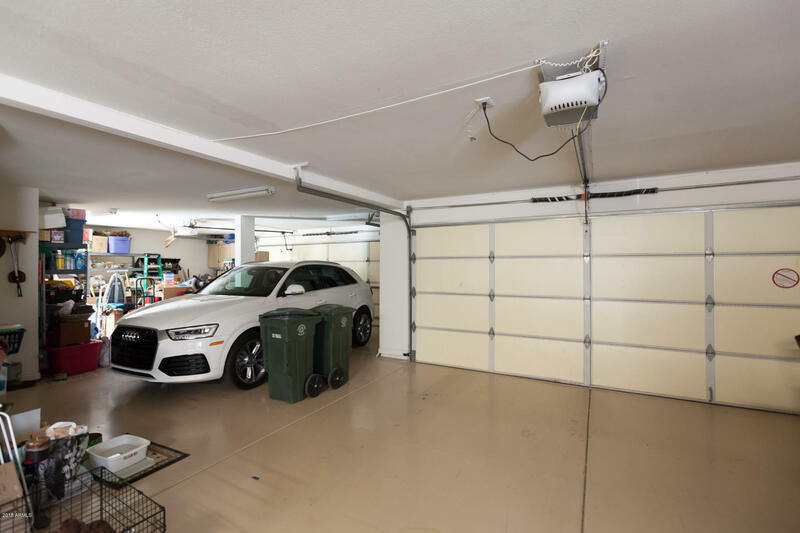 An oversized 4 car air-conditioned garage, three 4 yr old refrigeration units, a 4 yr old roof, all with transferable warranties. 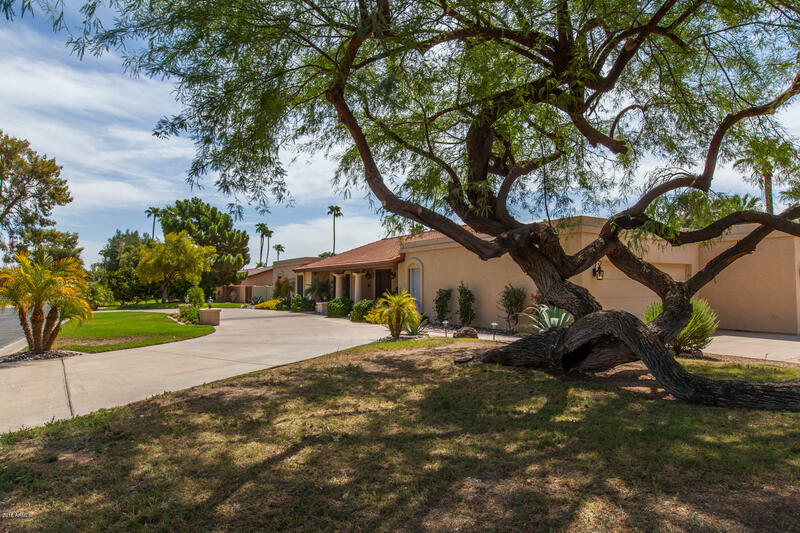 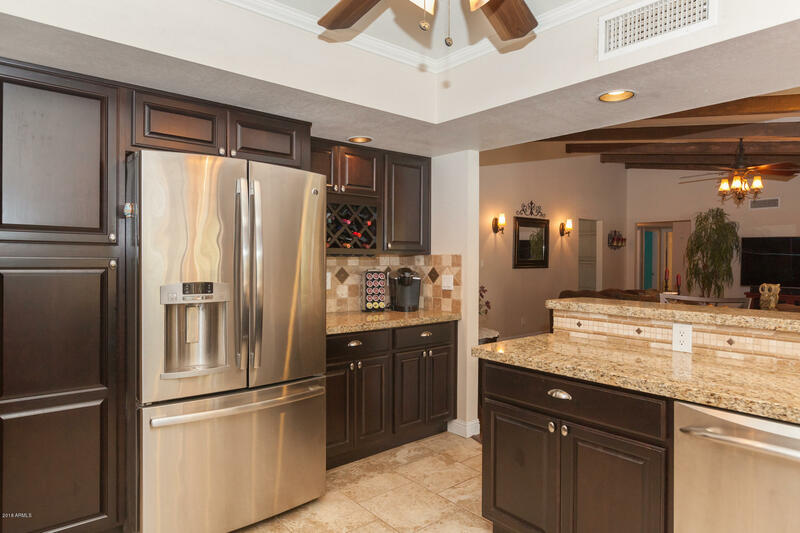 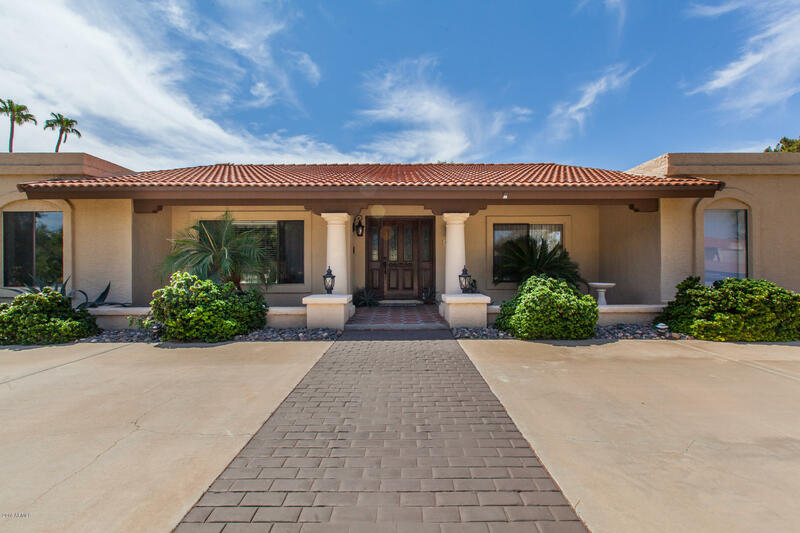 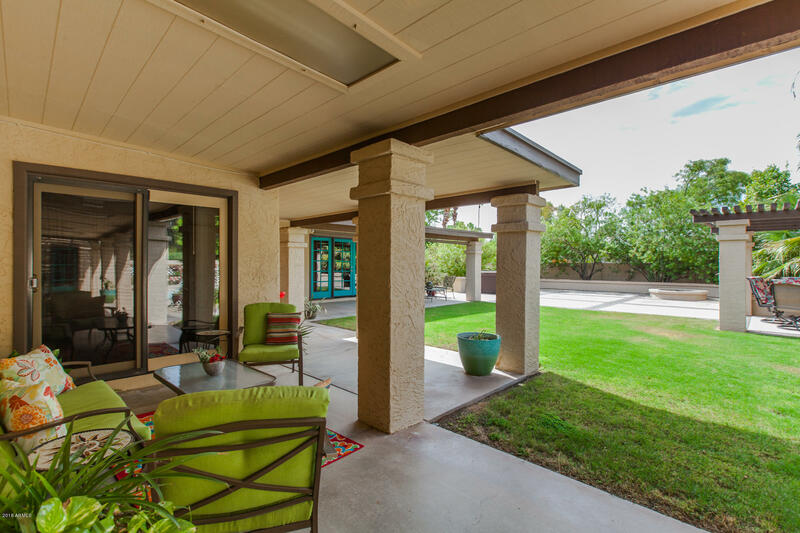 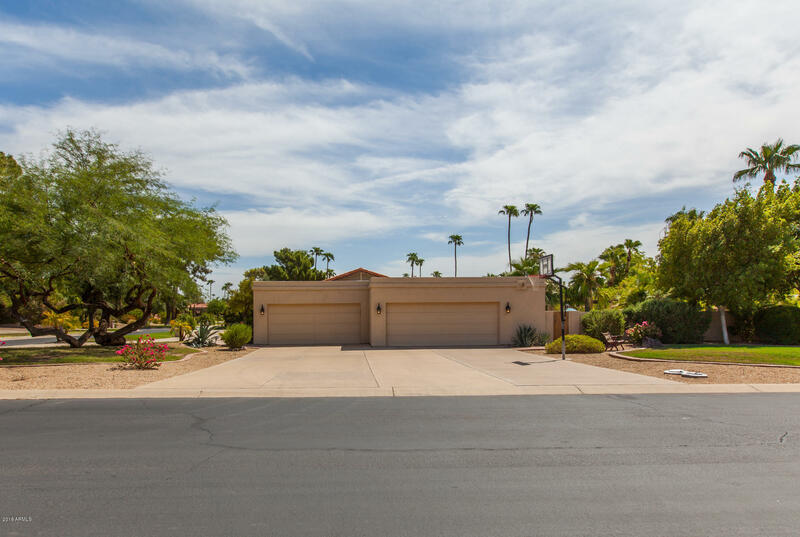 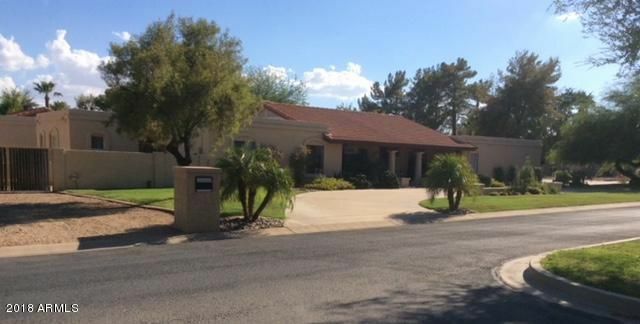 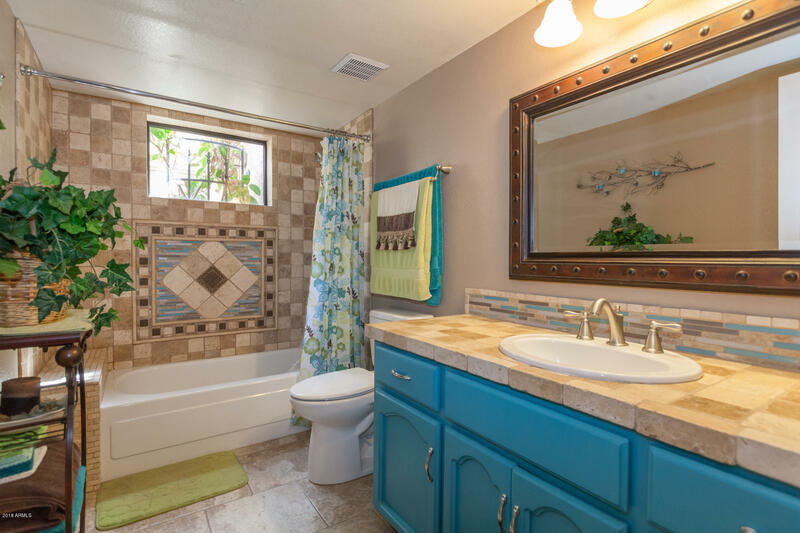 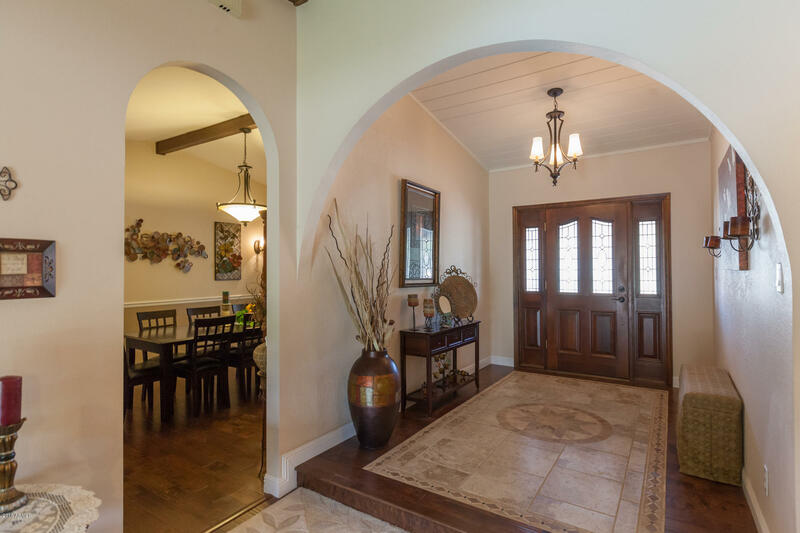 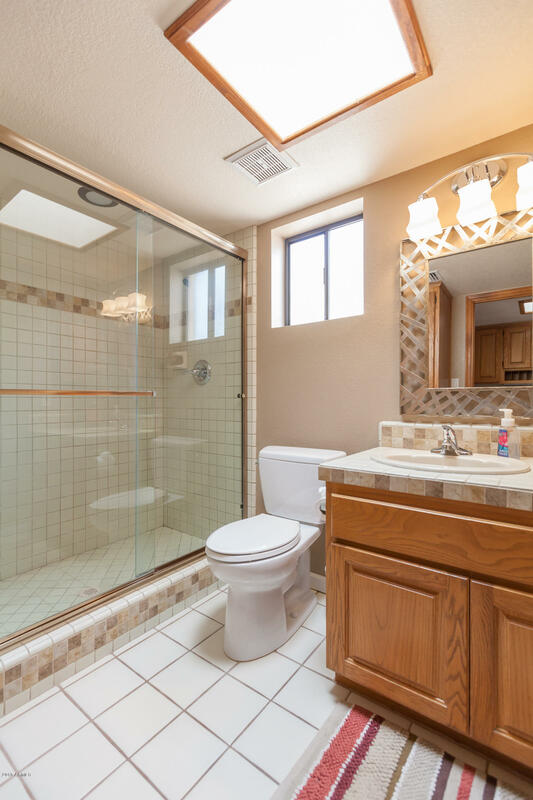 Don't miss this beautiful property with NO HOA. 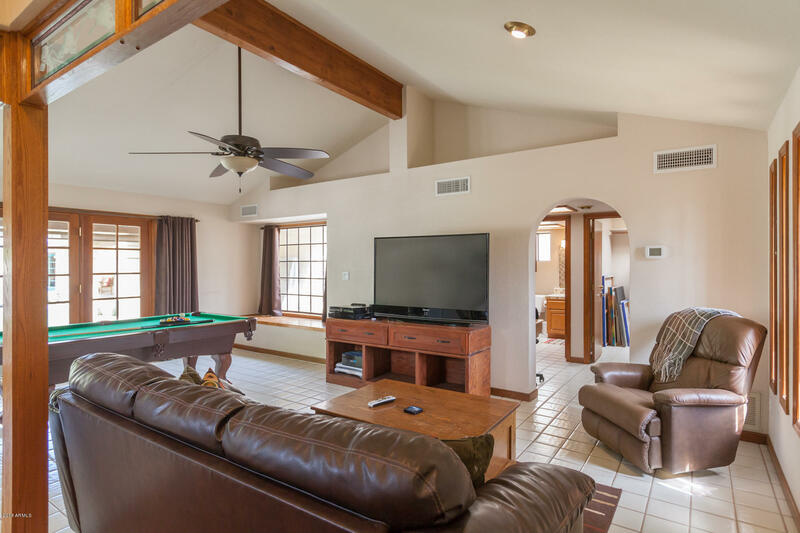 It's just waiting for your family.